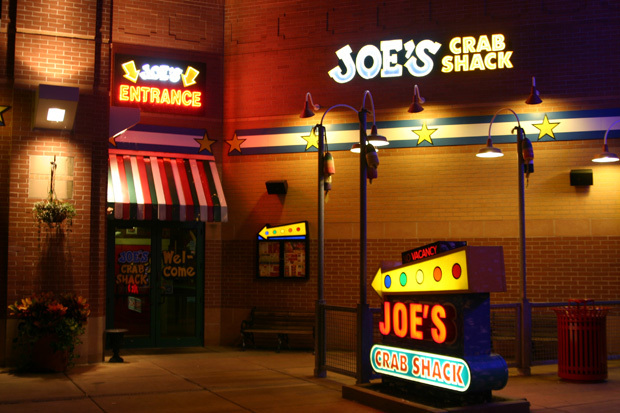 There is a restaurant chain called “Joe’s Crab Shack.” I once ate at the Wolfchase/Memphis location. It was not my favorite place, but they did have a sign up on the wall that I thought was really funny. It said, “Free food tomorrow.” The humor obviously is the fact that the free food would never come, because tomorrow will always be tomorrow. But tomorrow does not always refer to the next day; it can also refer to the future. That is how Jesus meant it here in our text. In essence he says, “Do not worry about what the future holds. “Tomorrow” and “worry” are oftentimes associated with each other. When someone worries about their tomorrow, they are only robbing themselves of the joy that they could have had today. That may even describe you. If it does, then know this; The Lord wants to take the sorrow out of your tomorrow! In our text above, Jesus commanded us not to worry about tomorrow. The Greek word for worry means to be anxious, to be troubled or to be agitated. But what is even more interesting is the fact that our English word “worry” is actually rooted in a German term that means to choke or to strangle. How appropriate, considering that worry will literally choke the quality of your life and frustrate the possibilities of your tomorrow. But one of the reasons why Jesus commanded us not to worry is because it is a sin. But very few people see the severity of the sin of worry. Because of our human nature, we have a tendency to grade and rate sins. For instance, there are some sins that we do not hesitate to shun such as stealing, murder, and lying. But other sins we almost giggle about, as if they are only a minor acceptable offense. And that unfortunately is how a lot of people view worry. People will powder the sin of worry up and try to make it cute by saying something like, “Oh, I worry all the time” or “I’ve always been a worry wart!” But when that is a person’s mindset, the danger of worry is not detected, and worry is certainly not seen sin against God. What a travesty is to brush off and ignore a warning from the Lord Jesus! But why does the Lord prohibit worry? He does so because it will hurt us. His words are a loving warning to prevent you and me from getting hurt. His warning is not some nonchalant, “Ah, don’t do that.” But rather it is an imperative and emphatic “don’t do it!” Now let’s tie worry back together with tomorrow. Being an obedient Christian and carrying the burden of worry is an oxymoron. You cannot entertain worry and grow in the Lord because the sin of worry stifles and hinders spiritual focus and growth for your tomorrow. Worrying about what tomorrow holds reveals that you have a defective understanding of God. It reveals that you do not fully trust God’s promises. It reveals that you are mastered by the circumstances of today, limiting your potential for tomorrow. Someone has said that the average person is crucifying himself between two thieves: the regrets of yesterday and the worries about tomorrow. It is a sin to worry about the future and let tomorrow rob you of the blessings in store for you today. It has also been said that today is the tomorrow that you worried about yesterday. Remember, it is Satan that wants you to be wrapped up in worry. Bottom line; worrying about tomorrow does not help tomorrow and it certainly will not help today! Worry makes you ineffective today, which in turn will make you ineffective tomorrow. How about you? Are you worried about tomorrow? If so, then give Him your tomorrow and walk into the irresistible future with Him! Boy, have I gotta work on that. I know that God is in control,but I do struggle with this way too much. I have been blessed in so many countless ways & I have given so little back.